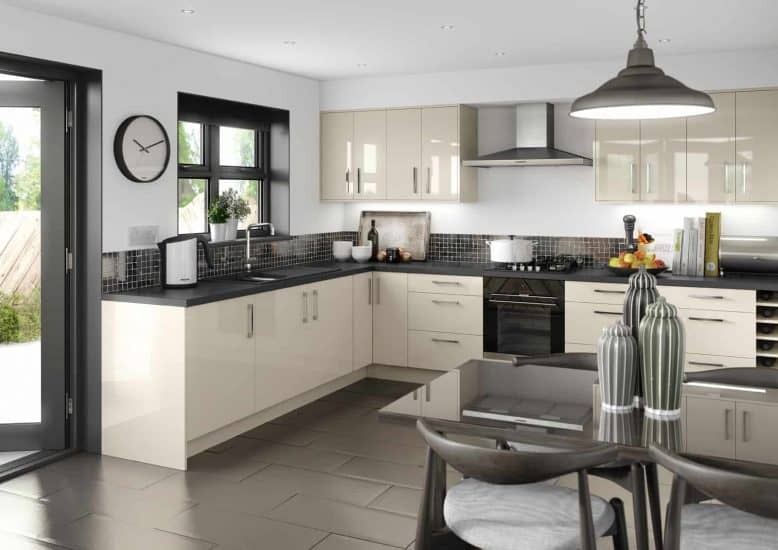 Already a modern design classic, this Alabaster gloss kitchen combines practicality with minimal chic. The Avalon worktop and breakfast bar in Granite black add a sharp monochromatic contrast. Easy on the eye and easy to live with, it really is an easy style choice. A very popular style, tiles on the wall can really complement this fitted kitchen well, along with shocks of colour to add your own little bit of personality. We are a family run company and proud of our beginnings. We adhere to bringing you extensive experience and knowledge to help you when it comes to choosing your ideal kitchen. We appreciate the small things can mean a lot, so we will always keep you updated with your project’s progress here in our own Dungannon factory. Starplan continually puts the customer first; a mantra we sadly think has been lost by bigger high street companies. 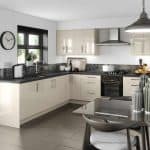 Call in to see us today to design your perfect kitchen. Or maybe you’ve just got some questions you’d like to ask before embarking on some home renovations? We’re here to help!